Our current era of consumption, one classified by endless amounts of excess, has made it so even the music industry has an answer to everything. No, it's not fake news, but the similarities are there as the process of receiving whatever you want to satisfy your needs is evident. Want something that buys into our capitalistic society? Any Trap album will do. Want something that overtly defies it? Everything Now's your answer. How about irony drenched in satire drenched in irony? Pure Comedy's your first resort. Want a mixture that both criticizes and conforms? Humanz will do the trick. Point being, there's art for every agenda someone may have, yet none, at least in 2017, that investigate the root of our unacknowledged hysteria. That changes with American Dream, LCD Soundsystem's first album in seven years, and one that brilliantly exposes the cracking of the American dream through the loss of love, empathy, and tender emotion. 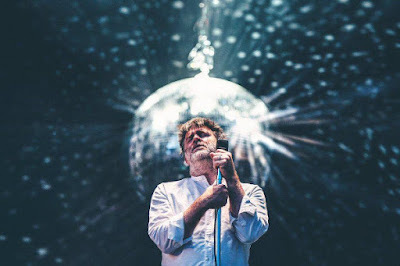 In my opinion, the best artistic forms of expression are those in which personal anecdotes relate to cultural dilemmas, and Indie's aging hipster soothsayer James Murphy, through turmoil of breakup, reunion, and love loss, conquers that exact feat. American Dream is an ambitious step back into the limelight, examining, simultaneously, what that dream means today. The absence of James Murphy as a prominent figure in the Alternative scene has, subconsciously, sent ripples through the system. Self-awareness is fading as acts who relentlessly confront issues often do so without looking at their reflection for the not-so hidden hypocrisy. 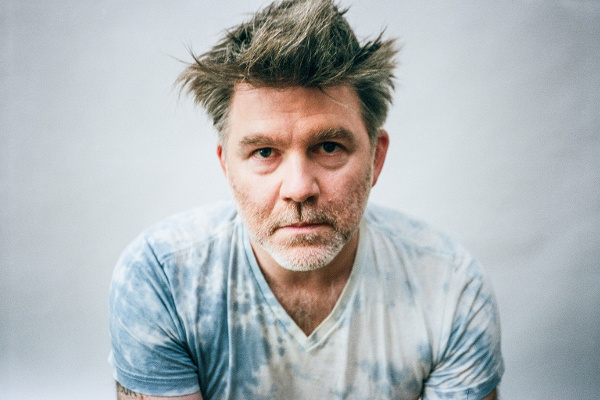 LCD Soundsystem's understanding, whether it be culturally on 'All My Friends,' musically on 'Losing My Edge,' socially on 'Drunk Girls,' or politically on 'New York,' has always come equip with an answer to someone's inevitable rebuttal. Those who cynically oppose Murphy's highbrow ways largely do so out of frustration that holes in his philosophy are hard to come by, something heightened by his liberal trumpeting. In other words, it's easy to hate someone who's always right. On American Dream, Murphy continues to hide behind no veil, confronting those with his smug stature on singles 'Call The Police' and 'Tonite,' or deep cuts like 'Other Voices' and 'Emotional Haircut.' In a similar vein to their previous records, American Dream braves our current zeitgeist with hypnotic rhythms and catchy one-liners, something fellow Murphy collaborators Arcade Fire and Gorillaz have attempted this year as well. While they faltered due to insincerity, LCD Soundsystem excels thanks to sophistication. That's not to say American Dream's LCD Soundsystem-approved tracks don't excel in their own right. Lead single 'Call The Police' is a fine example of this, abiding by the perpetual build of 'All My Friends' and 'All I Want,' tracks primed for the spoon fed finale of a scripted stadium tour. That sounds like a negative, and in some context it may be, but there's a reason the process is so addictive. On 'Call The Police,' the enjoyability comes from knowing a great release will soon occur. The mammoth of a single builds in tension, angst, and pressure, before climaxing with a questionable hook that repeats the title with maximum ambiguity. Typically, Murphy's fond of explaining his position, as he does throughout 'Call The Police's' riot-inducing climb, but his perspective here allows for an interpretive stance on whether we should actually seek authoritative help. Surprisingly, despite the album's title and implication, political repartee rarely surfaces. Apart from 'Call The Police,' 'Other Voices' is the only other noticeable track, condemning the actions of those who choose to shut out opposing opinions whilst living safe in their sheltered cave. Here, Murphy's confrontational, directly calling out alternative facts enthusiasts. American Dream wouldn't be an LCD Soundsystem album if it weren't for the array of content it sports. No, it's not Murphy's most personal work, nor could it have been. However, with tracks like 'Change Yr Mind,' which addresses the group's uncertain reunion, 'How Do You Sleep,' which accosts fellow Death From Above co-founder Tim Goldsworthy, and 'Black Screen,' which pays tribute to Murphy's late friend David Bowie, American Dream really is a sprawling album that finds purpose and motive around every corner. Along with 'Oh Baby' and 'Call The Police,' these last two songs, which are the album's two longest, represent the best of the bunch. 'How Do You Sleep' is an unrelenting force of epic proportions, and likely LCD Soundsystem's most experimental work yet. Forever unsteady, moving through industrial darkness, Murphy's stirring cries bear a subtle resemblance to the German goth goddess Nico. That, then ultimately merged with the group's ear-splitting backbone with a trove of percussive instrumentation. In direct contrast, 'Black Screen' presents the group at their most loving, patient, and ruminative. Murphy stargazes, pondering Bowie's whereabouts, saying "you could be anywhere on the black screen." It's a beautiful eulogy that's treated with care, respect, and adoration, pacing around celestial synths and a solemn piano. It's clear James Murphy owes a lot, in some respects everything, to his inspirations who can be seen as his previous incarnations. Their presence is dotted across the entirety of American Dream, whether it's personal like 'Black Screen,' appreciative like 'I Used To' which may be about David Byrne, or just indebted like the copious styles of the past found throughout. 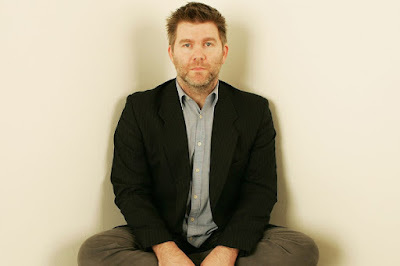 Hell, some songs, like 'Other Voices' or 'Tonite,' seem to pay tribute to LCD Soundsystem's own past, the former animating dancing stupefiers like 'Yr City's A Sucker' or 'Us Vs. Them,' while the latter incorporates spoken word manifestos akin to 'Too Much Love' or 'North American Scum.' 'Tonite' in particular is prime Murphy, castigating the actions of mainstream Pop and its influence on the YOLO era, offering sage advice on how to avoid peer pressure and the fear of wasting your youth. On an album ripe with personal conflict, it's nice to hear some positive reassurance from someone who "sounds like my mom." As he deliberates on 'Change Yr Mind,' Murphy's understated fear of failure rides through the underbelly of American Dream. The ambition, dignity, quality, and fervent nitpicking to make sure all those apply cause LCD Soundsystem's fourth album to be the indisputable triumph that it is.